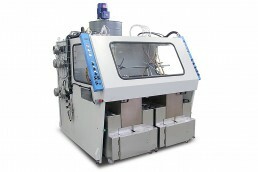 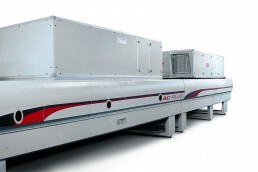 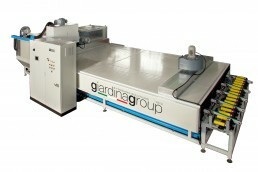 The JET GP series of hot air high speed ovens use the high-speed hot air principle. 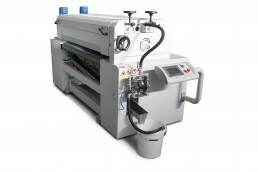 The flow of hot air is channeled into the distribution chambers and then diffused on the manufactured articles by means of conical nozzles which accelerate the air speed, thus increasing its efficacy. 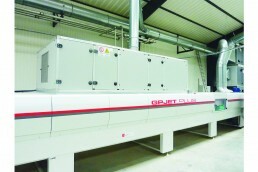 The recirculating ventilation system allows considerable energy savings. 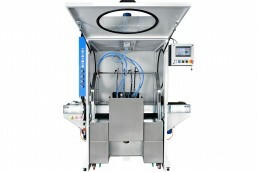 The GP JET Oven is the best solution for the flash off and drying of water-based products, solvent products with or without UV cross-linking in spray, curtain coating or roller coating processes. 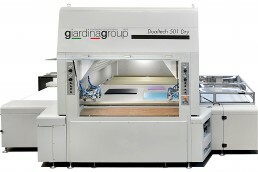 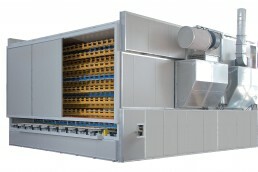 This type of oven can be configured as modules in relation to the speed of the painting process. 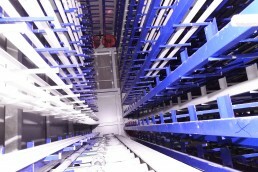 They can also be equipped with IR lamps to further optimize drying. 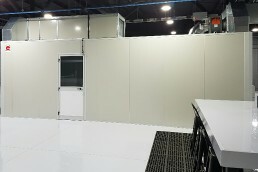 The vertical ovens are hot air ovens which are able to handle the finishing of products requiring long drying times in limited spaces. 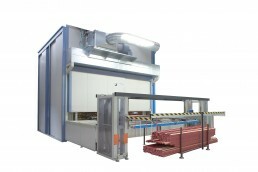 The vertical oven is the solution designed for the flash-off or drying of water-based products, solvent with or without UV cross-linking in spray painting and curtain coating processes. 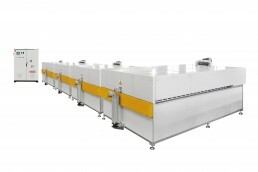 The ovens are available with a conveyor system with trays or belts and there are configurable flash-off, drying and cooling processes combined with each other in relation to the finishing process in which they are integrated. 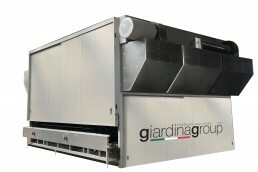 The mechanical structure is made with criteria of maximum strength and reliability while the ventilation is designed to obtain the highest level of performance in terms of quality and energy savings. 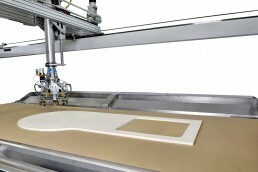 The transfers for moldings mod. 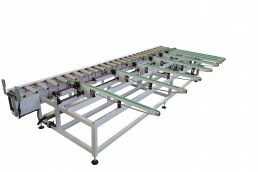 TR90 and TR180 are used to translate the profiles in the automated painting lines to the side by 90 ° or 180 °. 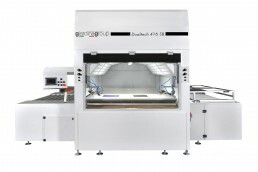 They can be supplied in different sizes and be equipped with ventilated hoods that allow further treatment of the painted parts during translation, such as treatment with hot air, infrared radiation and ultraviolet radiation for water-based or solvent products. 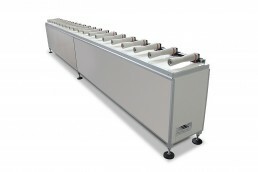 The hot air tunnel for glass is made with a modular structure that includes sections for hot air, IR lamps and cooling. 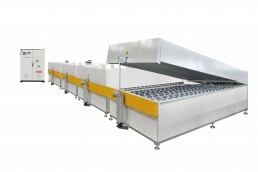 The oven performs the drying of glass products painted with organic products or as pre-drying of ceramic products. 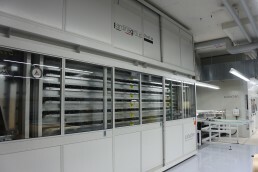 The oven composition is studied according to customer needs. 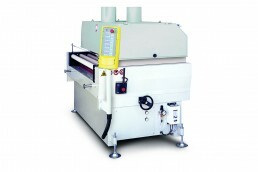 Different working widths are available.